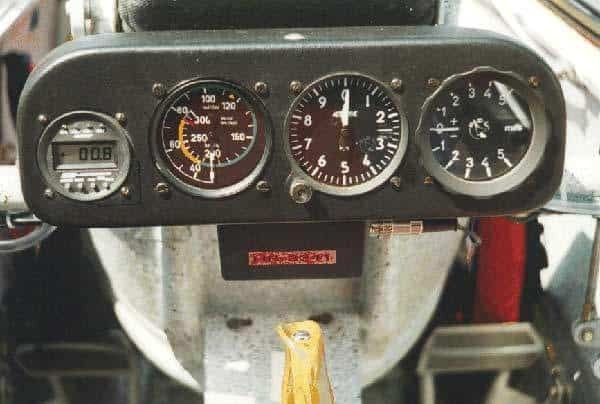 If you are reading this, then you already have access to a computer and have the necessary equipment at your disposal to create realistic instruments for your scale gliders. Layer 1 will be the main constructional backing panel for the sailplane made from plywood of any thickness, but usually 1.6mm or 3mm. Layer 3 is a thin perspex screen to overlay the instruments and act as the glass facings. This can also be achieved by using a self adhesive clear film covering. Layer 4 is the final panel surface which has holes drilled in position to allow the instruments to show through. 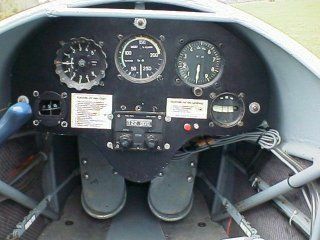 make a cardboard template of your instrument panel. using your tempate, mark out and cut your backing panel, perspex screen and final panel overlay. put your template onto your computer scanner ( or your friends scanner if necessary) and scan a computer image. obtain pictures of the instruments for your particular model. Their are many sources on the Internet for such photos, but if you cannot find what you want then send me an email – I may just have it. Invariably the images will be of the wrong size, but by loading your scanned template into a graphics program you can then overlay and scale your instruments to their finished sizes and place them in their respective positions.If you find that some of the photos are slightly out of shape by being photgraphed from an angle, you can correct this to some extent – at least in Photoshop – by skewing the image. It may also help to use a sharpening filter on the final image to improve detail. Some of the instruments have reflections and I find that they can add to the realism, but if you d`ont agree you can always touch them up in your graphics package. Print out the results and also a spare copy to enable you to mark the insrument positions on the top panel for cutting out. Here are a few observations I have made regarding finishing the top panel. If you drill large holes in thin ply you may finish up with a ragged hole. To prevent this, place the plywood on a piece of scrap wood and after starting the hole, use your drill in reverse to complete the drilling. If you use a drill with a centre pointed spike which locates the centre, then drill halfway from both sides. Finish the panel off by sanding and creating a bevel on the outside of the hole to represent the instrument bevels, paint and assemble. Further detail can be added by inserting very small screws to represent instrument fixing screws and switches can be made from dress pins with the large silvery heads which are cut and pierced into the panel. For a quick and easy solution, particularly to smaller scales such as 1:5 or smaller you can just print out the console to the size you need and glue the whole print in place. It can look supprisingly realistic.